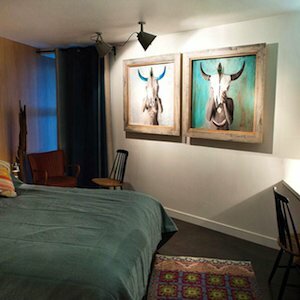 No relation to Degas, if that’s what you’re thinking: such a reference would be way too on-the-nose for a hipster-friendly hotel located in an old textile workshop in the quickly evolving Parisian neighborhood known as Little Egypt. 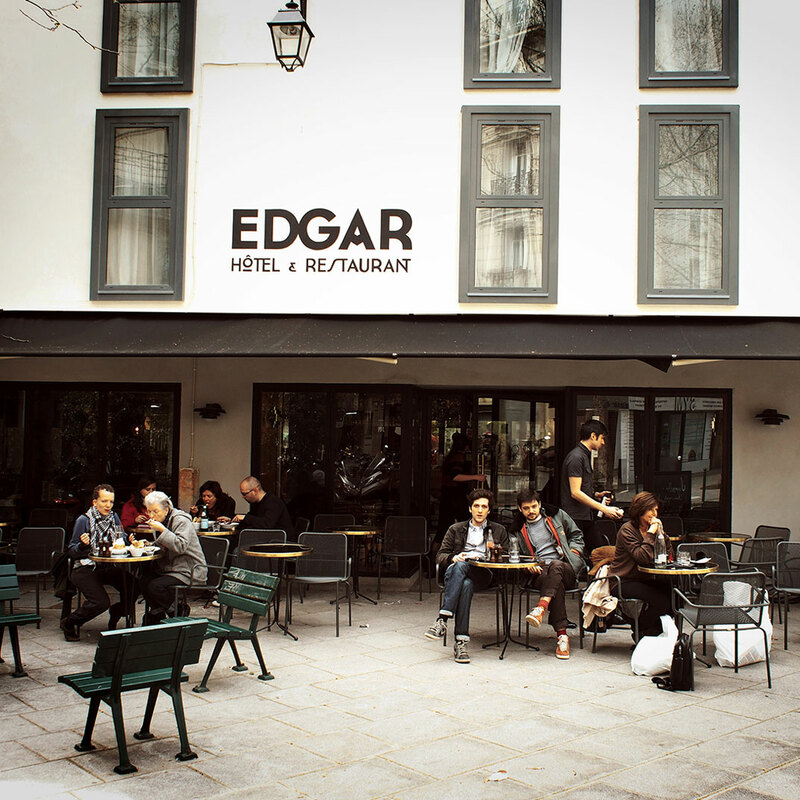 Edgar is actually the name of the son of Guillaume Rouget-Luchaire, the creative visionary behind the project. After closing his restaurant on the Marais, he snapped up the dilapidated factory. But instead of hiring a design firm, he invited his friends — a mix of designers, filmmakers, and artists — to help transform the space. The result? A quirky but upscale boutique that feels like an indulgent large-scale art installation with a chic breakfast and complimentary bicycles for an impromptu spin around the second arrondissement. To call these guest rooms “individually decorated” would be a wild understatement: each one could belong to a different hotel. 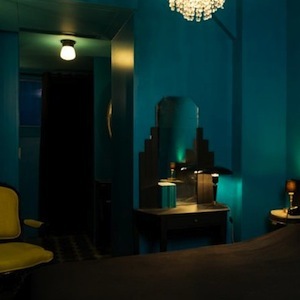 There’s the sultry, almost all-black “Ebène Rock” by a Chanel designer, the childhood fantasy-like “Dream,” where the decor includes toy cars and action figures, the woodsy but minimalist “La Chambre Perchée,” put together by a treehouse designer, and more classically elegant rooms like Pierre Frey’s dapper “Black & White.” It’s all grounded by Rouget-Luchaire’s particular aesthetic: he likes color and pattern, from the tiled floors to the jade-colored walls, and mixes decorative Art Deco elements with the clean lines of modern Scandinavian design. 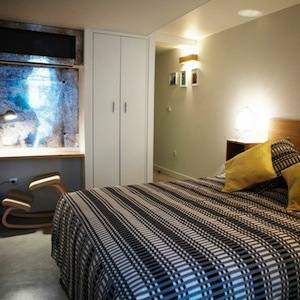 And there’s substance to the style, too: in the end, it’s a hotel, not an art project, and guest rooms come stocked with complimentary tea and apples, plus free wi-fi. Bocce ball sets and gourmet Edgar picnic baskets, on request, help complete the picture-perfect Parisian getaway. Rouget-Luchaire didn’t give all the rooms away to his friends: he reserved one, “The Elegant Sixties,” to design himself. It’s a phrase that also applies to the downstairs bar, where vintage aperitifs are making a comeback, not to mention the popular restaurant. Restaurant Edgar — specializing in dishes like Roumégous oysters with bread and Bordier butter and cod with blood oranges and grilled octopus, and outfitted with vintage furniture, copper lamps, and nostalgic black-and-white photos — is a destination in itself, especially if you manage to score patio seating overlooking the impossibly charming square.